Every day is a different experience in Miami Beach. Its ever-changing landscape and the diversity of the Miami Beach real estate market present exciting new ventures, opportunities and events that make it one of the most dynamic cities in all of sunny South Florida. Our Miami Beach real estate blog is always being updated with the latest real estate news about Miami Beach and its neighboring areas, including local events and exciting new happenings. As part our ongoing efforts to provide you with the most comprehensive information on Miami Beach and its collection of varied property, we will highlight and acquaint you with a new, acclaimed Miami Beach condo each month. We encourage you to comment on our latest Miami Beach real estate and South Beach real estate news postings and contribute to the discussion. The eclectic lifestyle and community always presents new perspectives and we’d love for you to share our postings with friends and family through your preferred social networking websites. Thank you for reading our Miami Beach blog! 3 Tips for Selling Your Miami Beach Condo! There has been lots of buzz regarding increased home sales and we are pleased to report that now really is an excellent time to list. Condos in Miami Beach are being snapped now at prices that are higher than they have been in over 3 years and the market continues to improve. Inventory is at a 6 month supply and there is no indication that more foreclosures will be released, meaning that if you list your home now you can get an excellent price for it. We would like to share with you some of our tips for listing your home and getting the right price, contact us today if you are interested in selling you Miami Beach Condo! 1. Declutter: The fastest way to detract from a home for a perspective buyer is to have lots of personal effects in the home. Remove pictures and artwork if possible and limit knick knacks. 2. List at the right price. It is incredibly important to list your home at a price that is reasonable to sell the home quickly. Enlist the help of an area realtor expert to do a comparative market analysis on your condo, which will give you an idea of what your neighbors are selling for, and what you can hope to get for your residence. 3. Be honest. If there are issues with your condominium, you should be up front about it with your realtor and buyers. There would be nothing worse than for a buyer to find out something that would break the deal before closing, so save yourself and your realtor the headache. 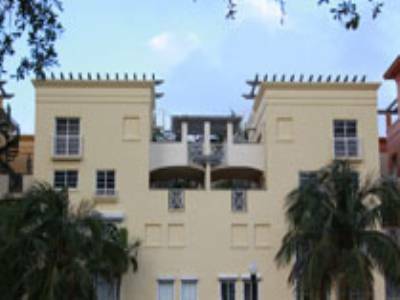 The University of Miami has sold its’ Presidents Home in Coral Gables to a New York buyer for $9 million. The 4.5 acre home, built in 1965, has hosted freshmen every fall for a bbq as well as world leaders and politicians for over a decade. 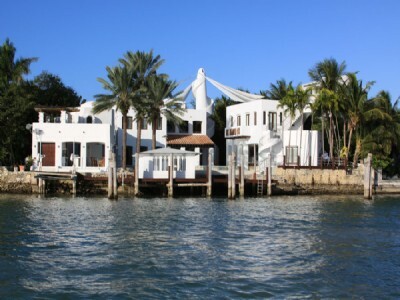 This waterfront estate is truly stunning and the location could not be better, in the coveted Gables Estates. UM President Donna Shalala will move into a home being built in Pinecrest during the Fall Semester. The new home has an interesting past as well. UM philanthropist Frank Smathers donated this land in Pinecrest and it was formerly used to house his Arabian horses. Currently, it is protected and maintained by the Fairchild Tropical Botanical Gardens, due to its lush plants and mango population, which is one of the most diverse in the world. 1/3 of the land has been developed exclusively for staff at the University. 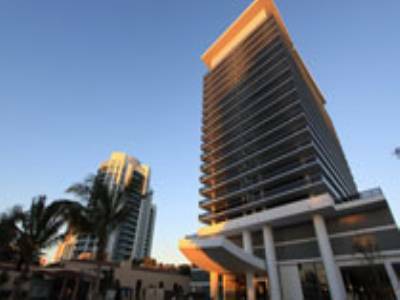 Shalala’s new home will be on less land, however will be no less grand at over 9,000 square feet with private elevator in a modern style. Decorated with the help of Phillis Taylor, who also decorated the prior estate, it will be modern yet traditional. The community does boast a community center, tennis courts, and pools. There is no word on the value of the new home, but we will keep you abreast of this information! 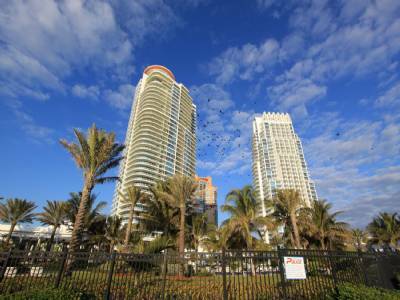 Miami-Fort Lauderdale Makes the List of Top Ten Markets for Rising Zestimates! Zillow has announced its quarterly findings and among housing markets that have appreciated the most, Miami Fort Lauderdale is right on top. Zillow tracked 165 metro areas for home sale prices in single family homes, condos, and coops. 90 markets showed declines in value, in the 4th quarter of 2011, and 70 showed appreciation, and 5 remained stagnant. Zillow estimates that housing prices are back to levels they were at in 2003 which is 24.6 percent less than May 2007 or the peak. Experts have attributed the increase in prices to rising rents, low mortgage rates, and the perceived bottom of the market home prices, thus spurring prices of homes upward. Zillow further has recorded 70% increases in rents from March 2011 to March 2012. It is not immediately known whether Zillow believes Miami Fort Lauderdale is at the bottom of the market, however we believe the bottom to have occurred during 2010. 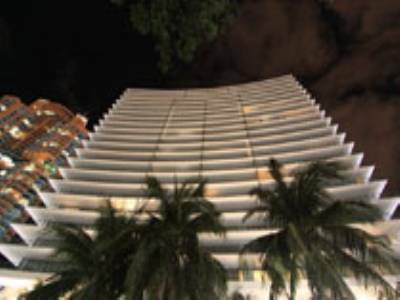 Luxury properties in Miami Beach certainly felt the real estate hit, however largely they have remained unscathed. This is due in part to the foreign cash buyers that purchase in Miami, who were taking advantage of the weak dollar, and now the market is favorable for domestic buyers as well. Investors have played a key roll in keeping luxury prices increasing. 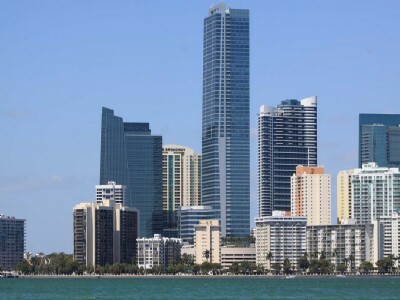 Miami condominiums in particular have been increasing in areas such as South of Fifth and high rise properties along the Atlantic Ocean. Sunny Isles has experienced a veritable boom of both sales and development with two new developments, Mansions at Acqualina and Porshe Tower to name a few. 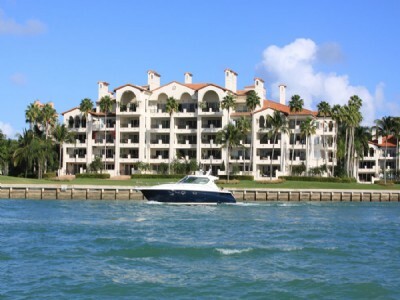 If you are still looking to purchase a luxury property in Miami, now is definitely the time to act. For more information contact us today!! Built in 2004, this condominium complex has retained its’ value for 8 years and continues to be one of the most sought after properties in Miami Beach. The Setais sits prestigiously between 21st and 20th street in the heart of South Beach, directly on the Atlantic Ocean. With 40 storis and 163 residences in the Setai, there are a number of floorplans to choose from and properties start at $650,000 and go upwards of $8.95 million. Floorplans are from 1 to 5 bedrooms and all have floor to ceiling windows, and private balconies with views of the Atlantic. All residences are pre-wired for owner convenience and include Miele appliances, Sub-Zero refrigeration, Kohler fixtures, with custom teak cabinetry in the kitchen, black granite countertops, and black granite flooring in the bathrooms. These lavish amenities come standard, and when you explore deeper into the individual properties, you will notice even grander upgrades. The amenities at Setai are calming and serene and offer full service resort activities. Some include 24 security and concierge, valet parking, onsite five star hotel, state of the art fitness center, world renowned boutique and art gallery, 3 oceanfront swimming pools, causal dining and five star gourmet dining, in addition to full spa services. Within walking distance are some of the finest dining including Phillipe, Mr. Chow, and Nobu, and luxury retailers Barney’s and New York chic boutique Atrium. The location is also desirable since it is minutes away from the shopping thoroughfare, Bal Harbour and Lincoln Road. It is twenty minutes drive to the Miami International Airport and ten minutes from Downtown. This is truly one of the most elegant and serene buildings on Miami Beach, and whether you are looking to invest or are looking for a second home, we cannot recommend a better property. For more information on The Setai, please contact us today! When you list your home, it is important to get the word out to neighbors and more important still to other brokers that your condo is available for sale, and without the pretense of a showing, an open house is an incredibly effective tool for your sales strategy. 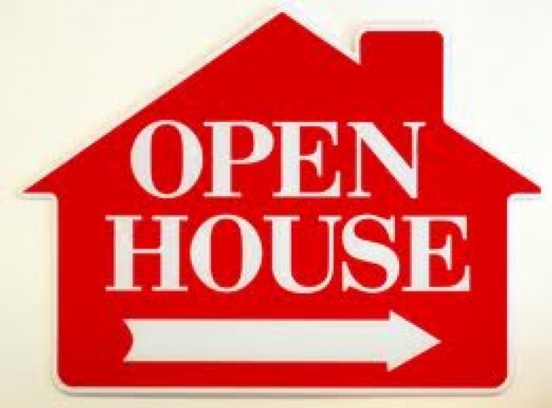 The open house is a veritable store in which you are not pressured to buy, rather it is simply a place for prospects to come and peruse your home. With the advent of internet marketing and search engines for homes, less and less facetime has become the norm in real estate interactions. The open house is an easy access way to gain facetime with prospective buyers. By opening your home, your neighbors will have access to see your home and recommend it to their friends, thus increasing the network exponentially, which is impossible to do online. If you are a broker attending an open house, you also will be able to size up the competition if you have a listing in the building and be able to better produce your comparative market analysis if you are looking to sell in the building. Further, as an agent your contribution to the open house, whether you provide catering, or have the home staged, will impress your seller as well as the neighbors, which in turn can manifest into more listings in a condominium. We recommend open houses at least 2 times per month, adverstised in the Multiple Listing Service as well as across your social media platforms. If you are an involved seller, it is also a good idea to invite your friends or colleagues who are in the market for a home. It is best to maintain a low profile, if you choose to stay in the home during an open house or simply stay away. Let your realtor do the work at an open house and be open to their suggestions in terms of de-cluttering and average temperature of the home. If you are looking to sell your condominium and require a realtor to host these open houses, contact Miami Beach Condos and Homes today! 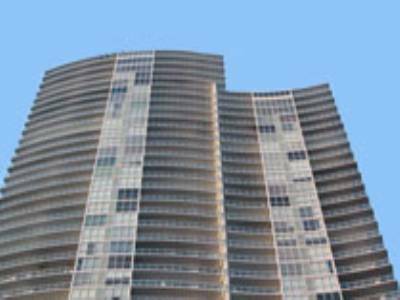 Akoya Miami Beach is one of the tallest condominiums in Miami Beach. There are 48 stories in the luxury building and 386 residence with 1-3 bedroom floorplans. Nearly every residence has an incredible view of the intracoastal, La Gorce Golf Club, and the Atlantic Ocean. 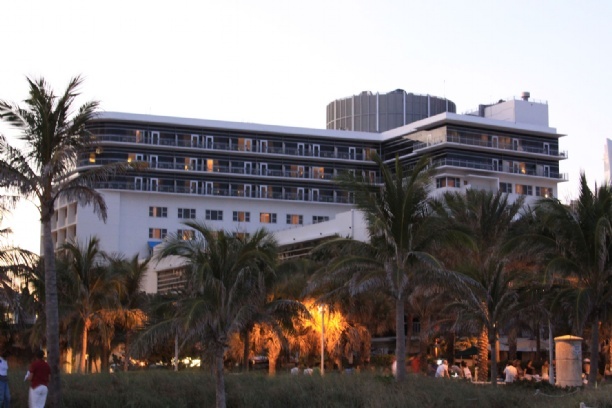 It is a relatively quiet area of Miami Beach, however South Beach is mere moments away on Collins. There is a beautiful boardwalk for exercising and Akoya has a world class fitness facility. The other amenities include tennis courts, racquetball courts, luxury pool, 24 hour security, and private poolside cabanas. The most incredible feature, is a natural one, the white sand beaches. If you have a shopping urge, the incredible Shops at Bal Harbour are a 10 minutes drive up Collins. Our featured condominium of the day is TS9/11 which is a penthouse housing three units. This two story townhome in the sky has 4 bedrooms and 4 bathrooms and is listed at $2.1 million. With 4,000 square feet and wrap around balconies and four parking spaces, this is one of the best values in Miami Beach currently. The flooring is marble and hard wood and all heat and air are central. The kitchen is chef ready with all top of the line stainless steel appliances. The décor in this home is the classic white Miami style. All bedrooms have expansive walk in closets and the views in this home are simply breathtaking. Ocean views are available from every room, and all have balconies. There are multiple sitting areas due to the combined floorplan and this home is really ideal for entertaining. 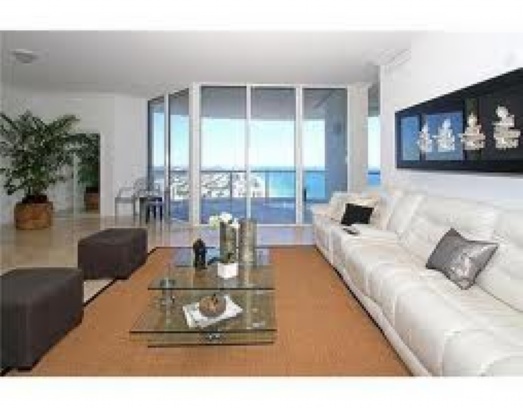 For more information on this and other condominiums in Miami Beach, contact us today!